2131LF is rated 4.9 out of 5 by 10. 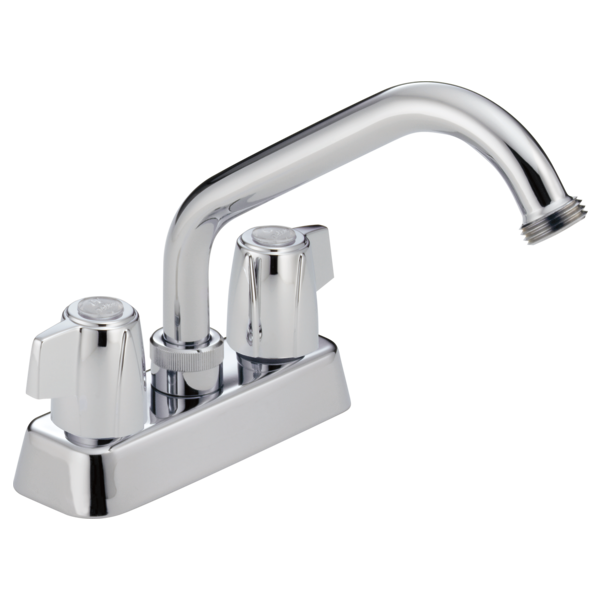 Rated 5 out of 5 by BandB from Delta 2131LF Laundry Faucet Great faucet, easy to install. Can't go wrong with Delta quality. 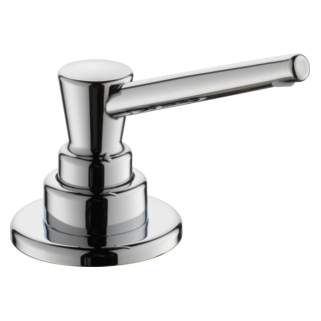 Rated 5 out of 5 by TK from Delta laundry faucet meets my expectation -- good quality at the right price. Rated 5 out of 5 by mom24 from Chrome Double Faucet We were looking for a faucet for our utility sink and this faucet didn't disappoint. It does the job that we need it to for a very reasonable price. Happy with this purchase! Rated 5 out of 5 by DO It your selfer from Delta 213LF Double handled faucet I was happy with the delivery time, the description of the product and the ease of installation, it also works very well as I can attach a garden hose to the nozzle and fill buckets or take outside to wash windows and the like, good product. Rated 5 out of 5 by Juanito from The product is excellent. The spout is raised enough for my laundry tub. I especially like the threaded spout to accomodate a garden hose. Ditto above. The item was well packed and had no damages when opened. Rated 5 out of 5 by PennCentre from Simple, very well-built faucet All I needed was a replacement utility faucet for a basement workroom sink. The original junk faucet that came with the sink failed after just a few years. This Delta comes with a lifetime warranty and it is not junk. Installation was a breeze. Thank you, Delta for a quality product. Rated 4 out of 5 by mark92562 from Good buy I wanted a faucet the I could attached a hose to so I bought two of these one for the laundry room and one for the garage. Easy to installed and durable but you do need to use caution when attaching a hose as it can break-off if you pull on the hose otherwise it is a good deal for the price. Do you make a hose and sprayer for the laundry room faucet? Does this product comes with the finishes of Chromium. Thank you for your question. 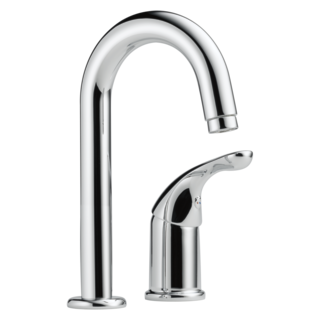 Delta Faucet model # 2131LF is only available in Chrome at this time. Can hose threads be unscrewed? Appears the hose threads are an adapter which could be removed leaving standard faucet threads to which a normal aerator could be screwed as in the 2133 model. Yes? Are there any replacement spouts for this model with a longer reach? I enjoy the faucet, but would like to have an additional 4&quot; of reach for my large laundry sink. What is the average flow rate for this valve? Does this model allow a sprayer to be installed, and do you carry one? From online reviews, some people received all metal parts of this laundry faucet 2131LF, some people got substantial plastic parts. Does Delta package different &quot;trims&quot; to different retailers? 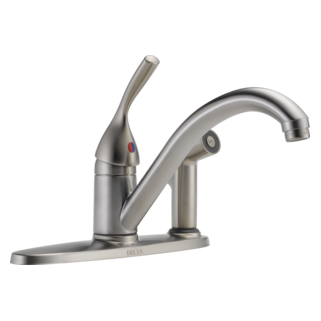 From which retailer can I get all metal 2131LF faucet? Thx!